BRITAIN’S ATTORNEY GENERAL has blocked the publication of letters from Prince Charles to government ministers, saying it could be difficult for him to fulfil his duties as king if they are released. A panel of judges in September had approved a freedom of information request by a journalist from The Guardian newspaper for the disclosure of the letters written by the heir to the throne in 2004 and 2005. But attorney general Dominic Grieve overruled them, saying that publishing the correspondence between Charles and the ministers could damage the principle of Britain’s royals being politically neutral. “If such correspondence is to take place at all, it must be under conditions of confidentiality,” Grieve said in a written statement. “Without such confidentiality, both the Prince of Wales and ministers will feel seriously inhibited from exchanging views candidly and frankly, and this would damage the Prince of Wales’ preparation for kingship,” he added. “I consider that such correspondence enables the Prince of Wales better to understand the business of government, strengthens his relations with ministers and enables him to make points which he would have a right – and indeed a duty – to make as monarch,” Grieve said. The prince’s strong views on architecture and the environment have caused controversy before, notably when he nearly 30 years ago lambasted plans for a new wing of London’s National Gallery as a “monstrous carbuncle”. But the fact that he had also been writing to ministers did not emerge until a report in The Guardian in 2009, leading to accusations of direct royal meddling in government business. 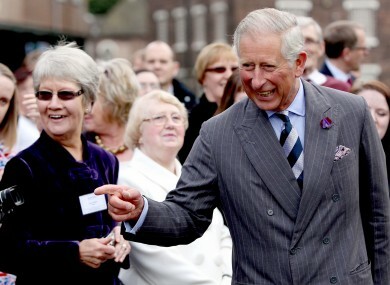 Email “Britain blocks publication of Prince Charles letters”. Feedback on “Britain blocks publication of Prince Charles letters”.